Building and debugging interfaces of applications can be tedious. 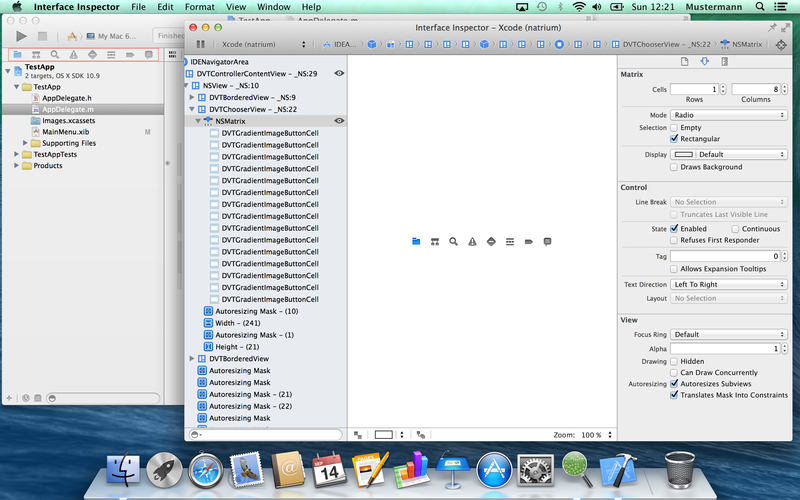 The Interface Inspector helps you to see and understand the inner structure of your application at runtime. You can easily change every property of your interface components. Our tool allows you to readily test different component properties such as images, sounds and view positions during the development process. 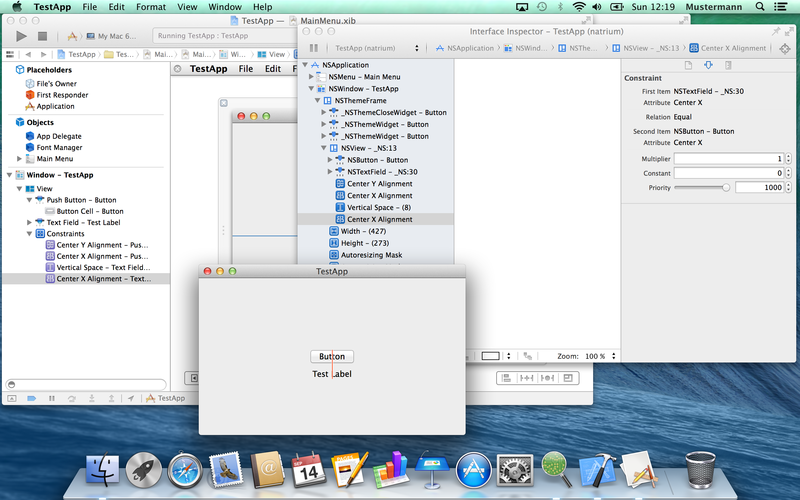 You can access the same set of options as with the Xcode Inspector - even if you have created your interface by code. Do you want to know how the interface of your favorite applications are built? Do you find it difficult to identify the property values that are required for your components to have the same visual appearance? 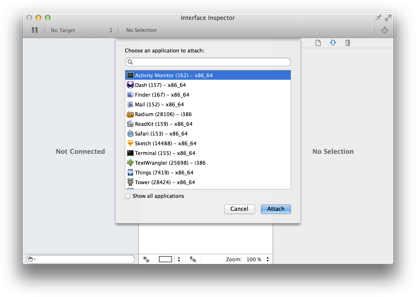 You can attach our Interface Inspector to every Mac application to see their structure and interface components. This helps you to build an interface that is as visually pleasing as your favorite application. 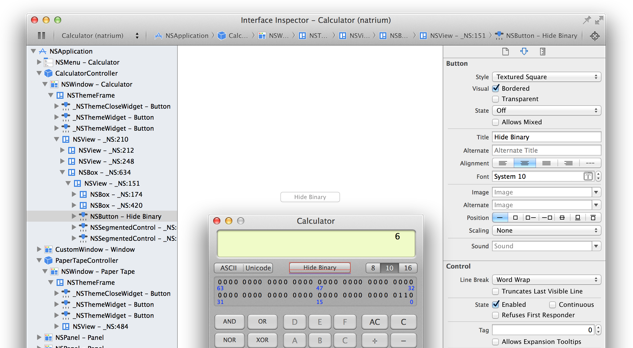 It is very easy to use the Interface Inspector with your programs. 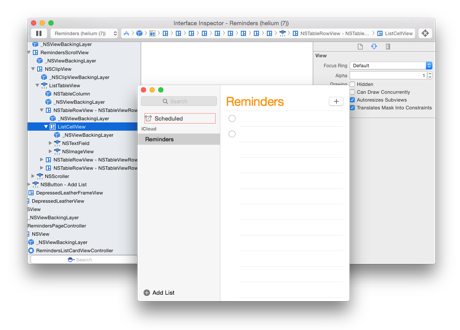 Either you use the attach menu by using the shortcut ⌘⌥A within the Interface Inspector and choose the application you want attach to. You can then check your view properties or try different values for constraints and much more. After you attached the Interface Inspector to your application, you can easily identity individual components through the selection mode by using the shortcut ⇧⌘K. Just click on the component you are interested in and it will be selected in the Interface Inspector and you start analysing its properties. 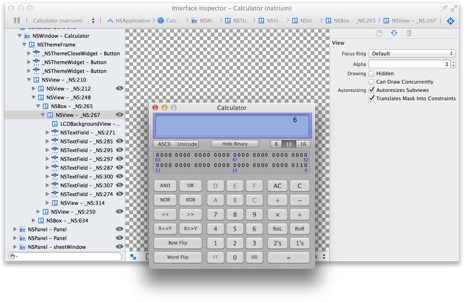 The Interface Inspector highlights the selected components in your application. 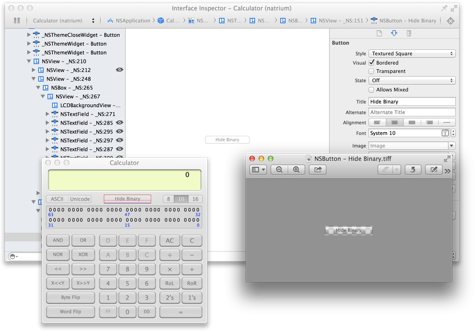 It show also layout constraints if you e.g. 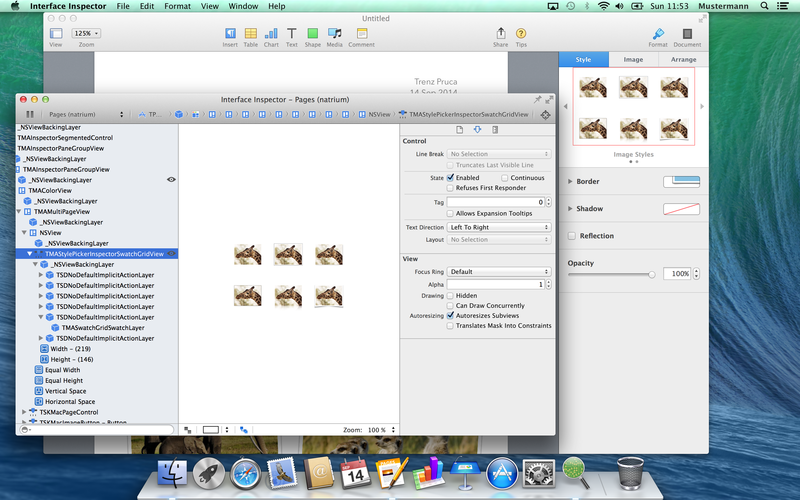 debug a problematic layout in your application. You can also write image snapshots of the interested components if you are interested in absolute colors for example. 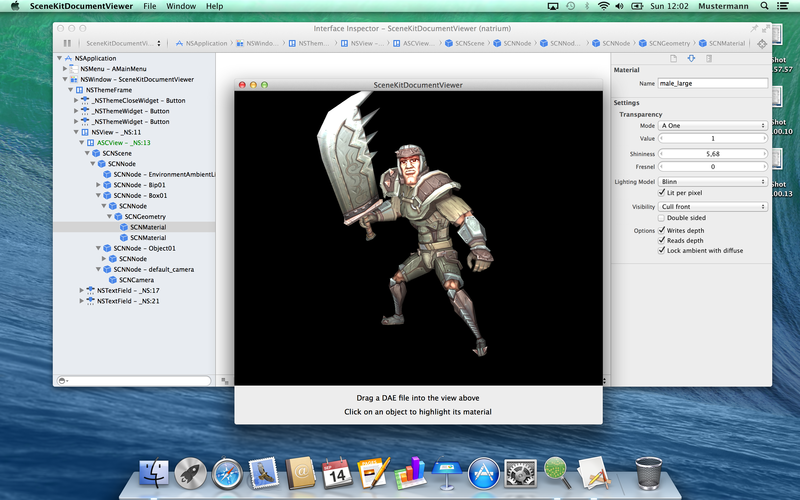 The Interface Inspector is ready for the next generation of MacOSX. New components and properties are available and ready to be inspected by the Interface Inspector with a fresh new look.